When you think of fashion, one of the world’s famous and popular clothing brands that come into your mind is surely Levi’s. Levi’s is a fashionable brand. They have their own store. Fashionable atmosphere, excellent quality, and reasonably priced garments are characteristics that make the Levi's store different. 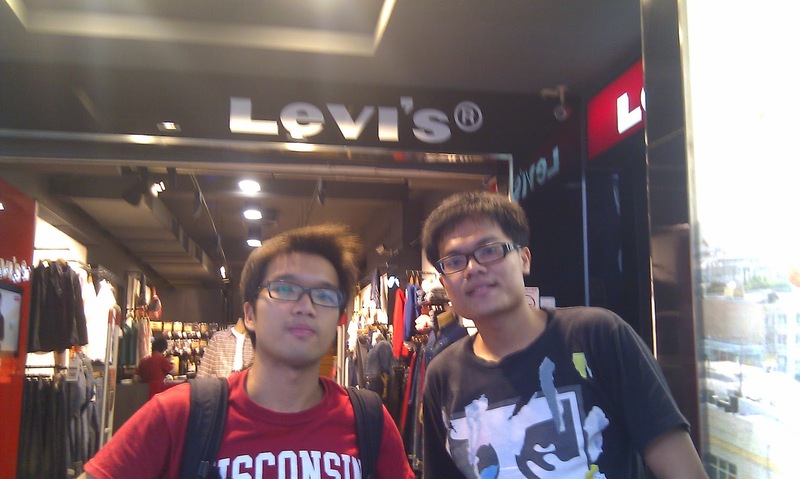 Most importantly, Levi’s sales clerks provide great service for all customers. This is what gives Levi’s a soul. Let’s take a look inside the Feng Chia business district’s Levi's store. 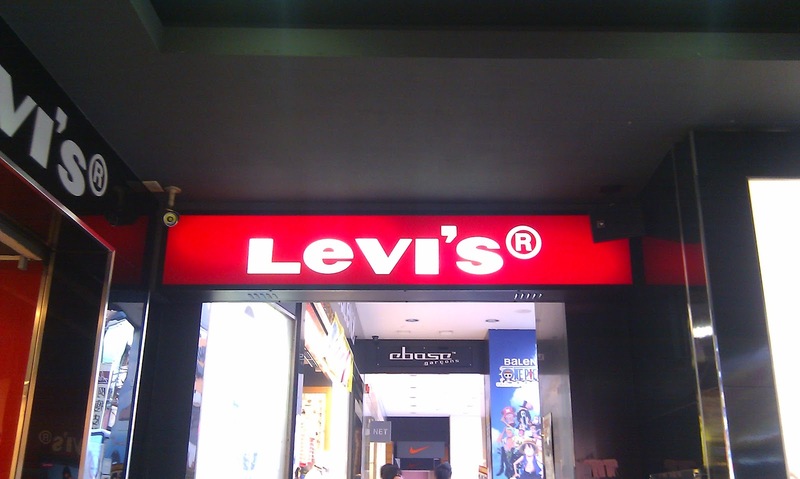 The first time we saw the store, we were attracted by the fancy red “Levi’s” logo hanging above the store. The logo attracts thousands of Levi’s worshippers every year, and just like other fashion worshippers, we couldn’t resist the temptation to take a peek at the variety of products in the store. As soon as we stepped through the door of the store, we were totally overwhelmed by the incredible number of products. As we walked on the marble tile of the store we were overwhelmed, period. We were dizzy and speechless; we just couldn’t stop turning around and looking at the incredible number of products in a variety of colors. While we were still recovering from our first shock, a leggy, pretty blonde sales clerk appeared in front of us four cave men and asked in a heavenly voice, “How are you guys today?” No one could have been nicer and kinder as she patiently introduced every single item. We were completely impressed by her manners and service – and her big, friendly smile. We all loved shopping at the store, that’s for sure. But what kinds of clothes do they have? 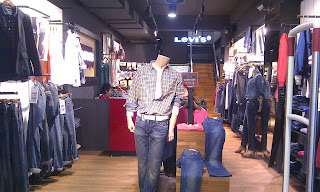 At the Levi’s store, they offer a wide array of products that will draw a lot of clothing-hunters attentions. All of the T-shirts in the store are made of one hundred percent, non-pilling cotton. Of course, their durable jeans are their hottest item. Even though the prices are little bit high for poor college students like us, Levi’s high quality and reputation are their heart and soul. 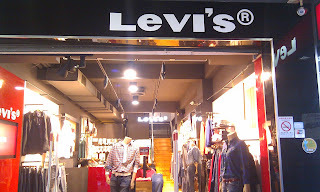 Levis is a fantastic store that has a magical power to attract and keep loyal customers. Levi’s is probably not the most fashionable clothing store in the world, but it’s definitely a place you and your friends will want to visit soon.